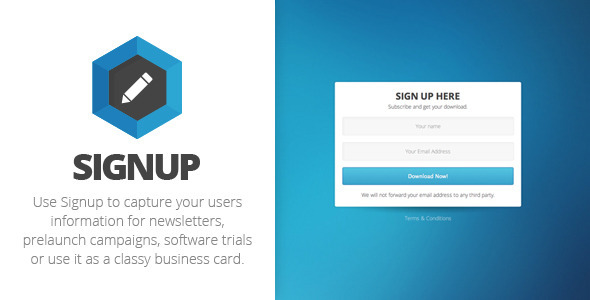 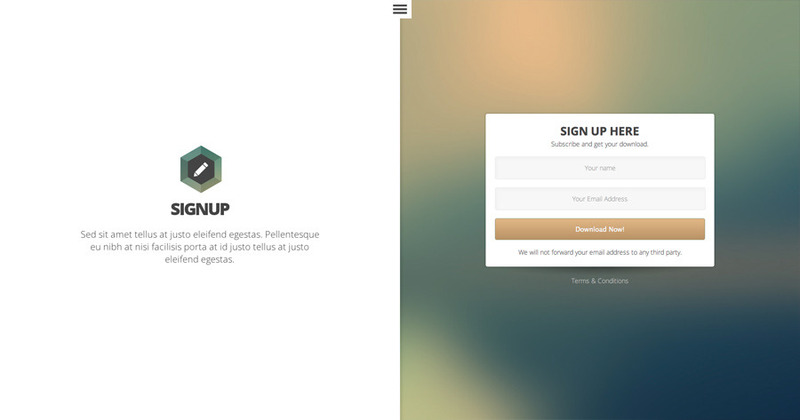 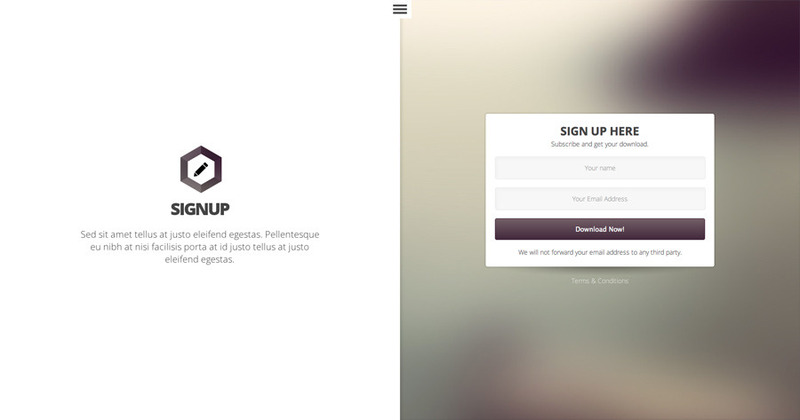 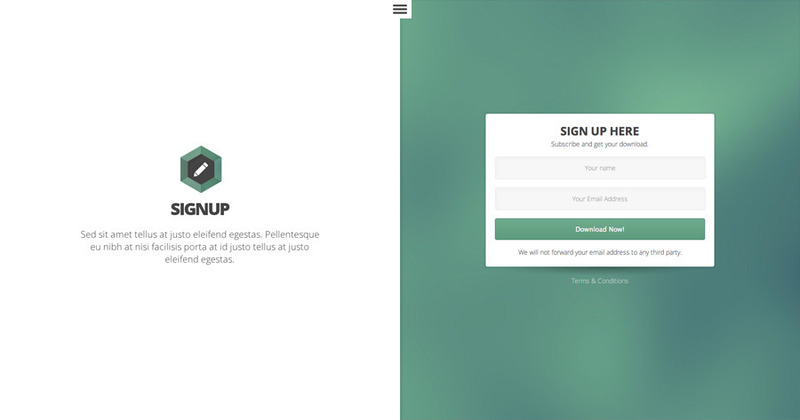 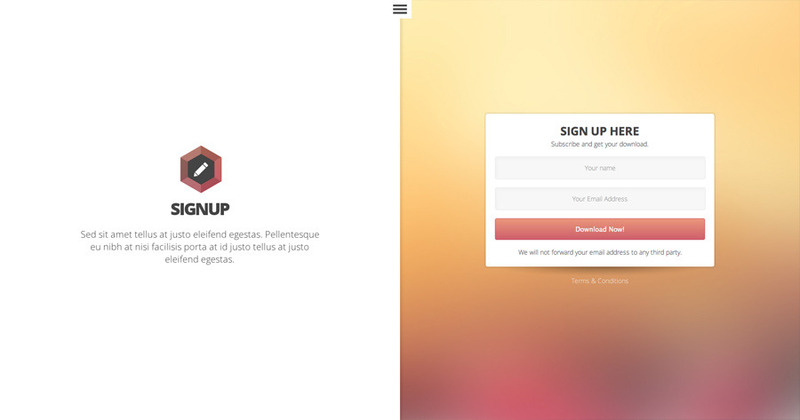 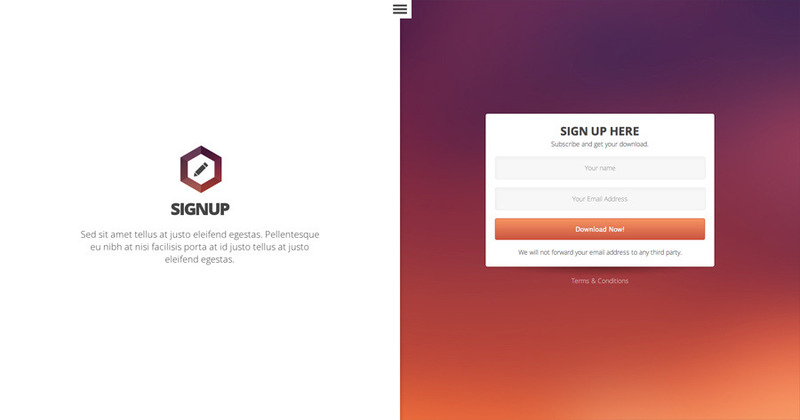 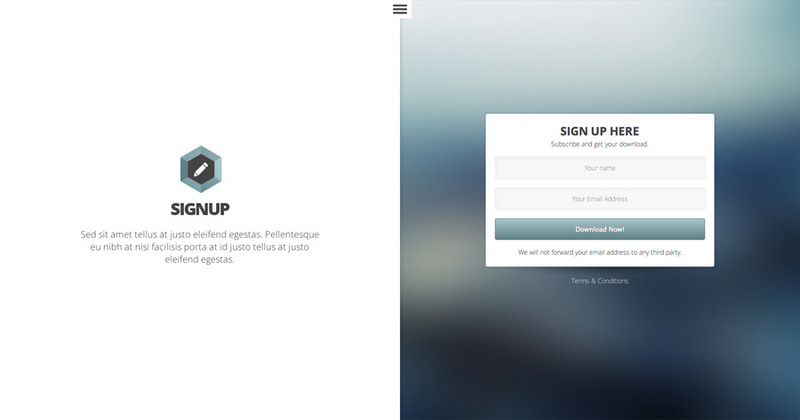 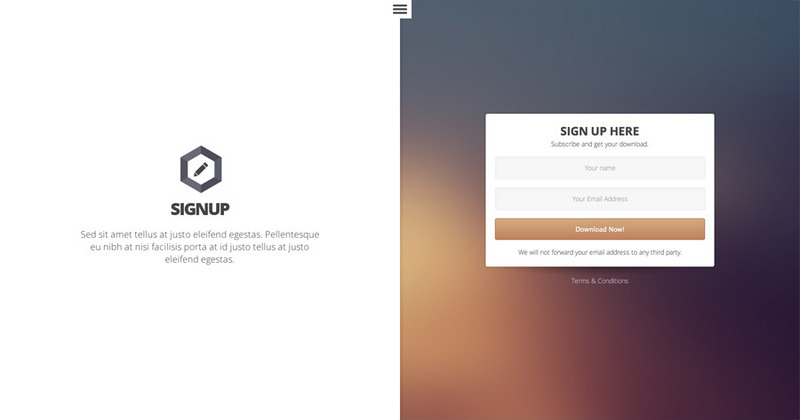 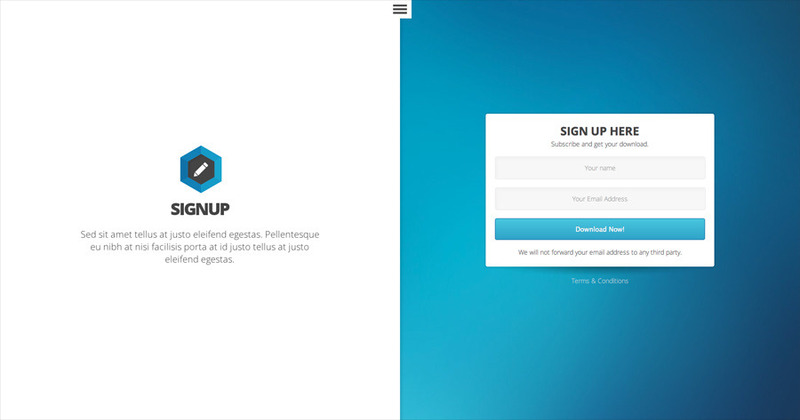 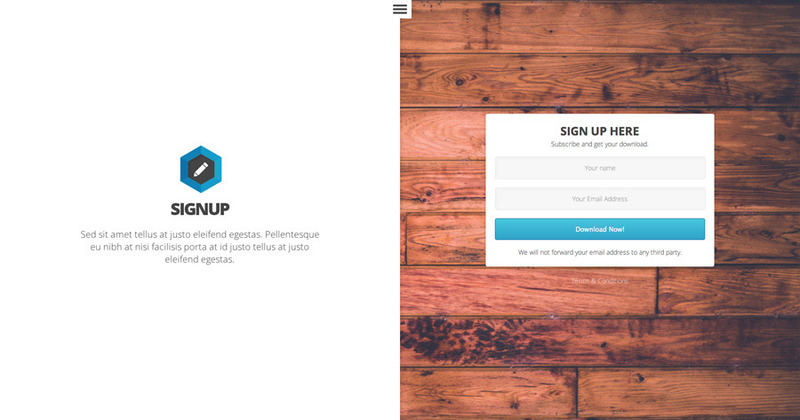 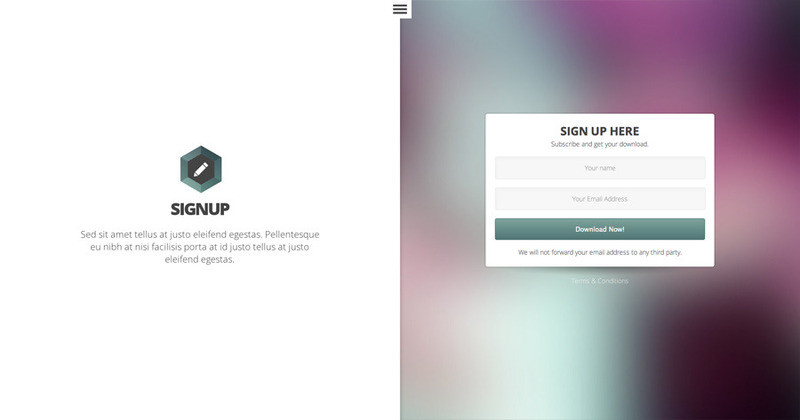 Using Signup you can capture user information for your newsletter, pre-launch campaigns or software trials. 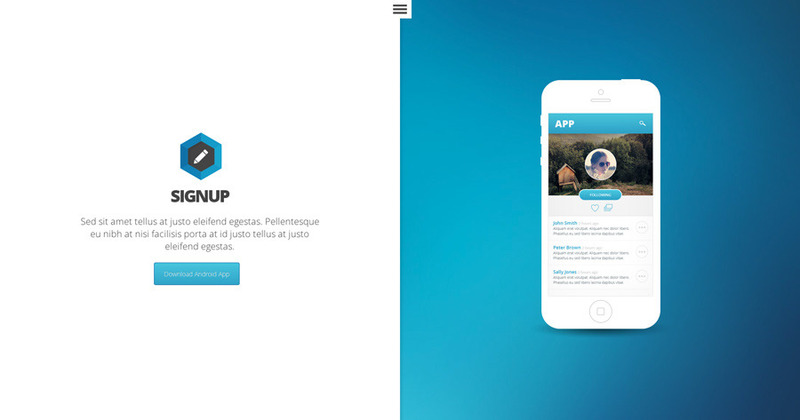 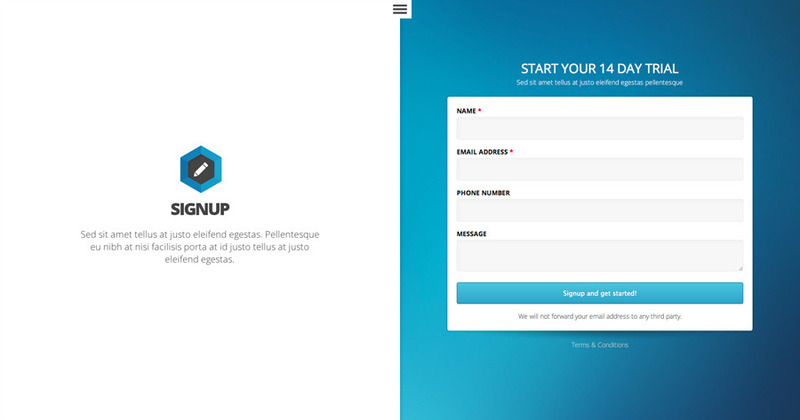 You could also use Signup as a personal business card or as a company contact page. 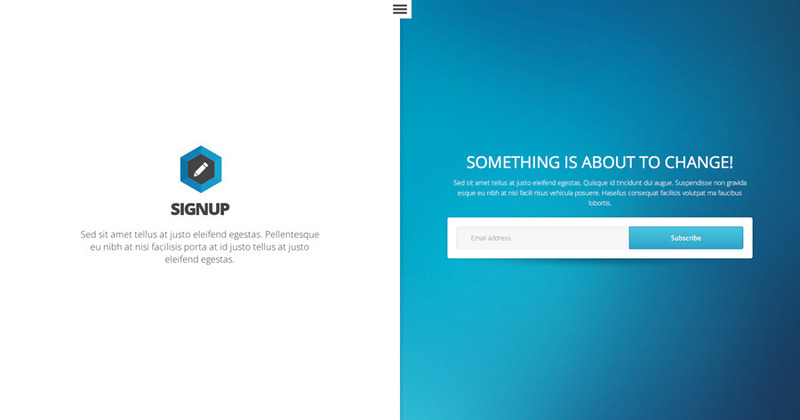 Signup has been designed to always render in a perfectly symmetrical layout, which maximizes on the available screen space. 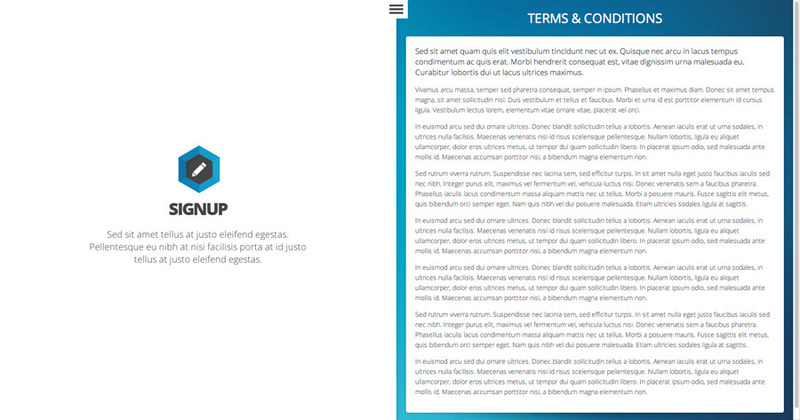 The design puts your brand front and center while promoting signups by giving it prime above the fold real-estate.